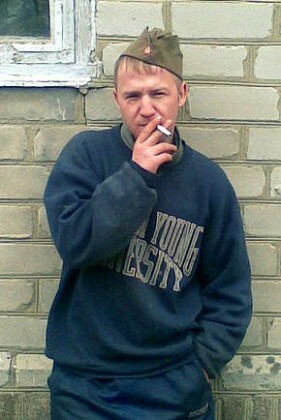 Resident of the city of Kramatorsk. Poet, musician, leader of “Nebo Minusa” band. Recently lived in Dmytrivka village, where he was taking care of a 90-year-old grandmother. Stayed at Maidan for approximately two months. Member of the 1st sotnia of the self-defence, had a nickname “Kreman”. Died near “Ukraina” hotel on Instytutska street after having received bullet wounds. Survived by his mother and a sister with her family. Buried in Dmytrivka village of Slovyansk district (Donetsk region).